Hear a presentation from Restorative Justice for Oakland Youth on "Building Alternatives to Youth Incarceration"
If enough people show up, we will vote whether to install a new Treasurer for the NCPC - Eric Neville has volunteered to serve. We'll need 15 people to hold the vote. 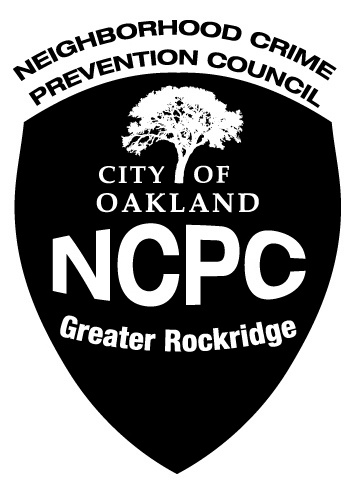 The meeting is at 7:30 PM, Thursday, August 11, in the Rockridge Library. Check our page on Alcoholic Beverage License applications for links to a new application on College Avenue. This application was filed on the date shown and is open for public comment or objection for the next 30 days, or longer if the license is pending. Commerce on the internet can be risky. Be safe out there.